The Pennsylvania Gaming Control Board endorsed on Wednesday a bid by Maryland developer The Cordish Companies to assume full ownership over a joint venture that has been selected as the preferred bidder to build Philadelphia’s second casino. Board members unanimously approved Cordish’s proposal to acquire Stadium Casino LLC, which has previously obtained a license to build Live! Hotel & Casino in South Philadelphia on the site of the former Holiday Inn in the city’s stadium district. Greenwood Gaming, owner of Parx Casino in Bensalem, was the other partner in the Philly project. News emerged last month that Cordish, which operates Live! Casino & Hotel in Hanover, Maryland, sought to take full ownership of Stadium. Its bid needed approval from Pennsylvania’s gambling regulator. The Gaming Control Board gave the green light to the ownership change during a Wednesday hearing. Cordish will have to pay a $100,000 fee to the state in order to complete the transaction. 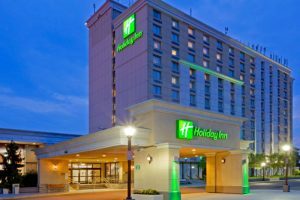 The company has told the state that it plans to begin demolition of the former Holiday Inn soon and that construction of the new hotel and casino complex will likely begin early in 2019. Philadelphia’s second casino has been a project years in the making. Pennsylvania approved the construction of two casinos in the state’s largest city back in 2006. SugarHouse Casino launched in 2010 to become Philadelphia’s first operational casino. A second casino project was introduced but never materialized. In 2014, Stadium received a license from the Gaming Control Board to build the hotel and casino complex. However, its plan has been stumbling upon multiple different setbacks that have been causing delays in its implementation. 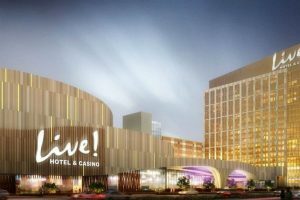 Late last month, the state gambling regulator gave the nod to a two-year extension for the completion and launch of the South Philadelphia casino. Cordish originally sought a three-year extension, but eventually agreed to the timeline proposed by the Gaming Control Board. The property is now expected to open doors in 2020. Stadium has also revealed plans to build a $130-million mini-casino at Westmoreland Mall in Hempfield Township. The facility will feature 750 slot machines and 30 table games, a food and beverage area and a two-story bar, among other things. Stadium paid a $40-million license fee earlier this year and submitted its full application this fall. The Pennsylvania Gaming Control Board is yet to approve that application. This is expected to happen during a hearing in Harrisburg early next year.